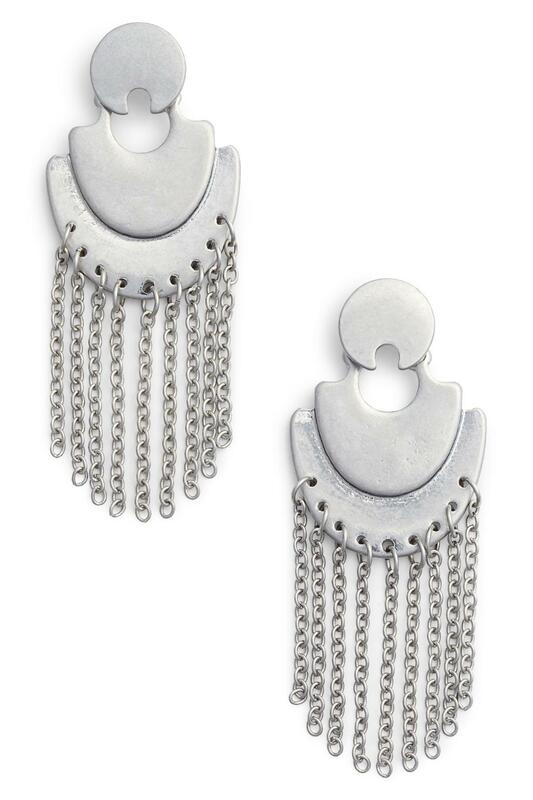 See more Treasure & Bond Earrings. 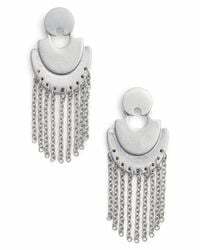 With a design that's fit for royalty, these drop earrings contrast bold, overlapping shapes with light and swingy fringe. 2 1/2" drop; 1" width. 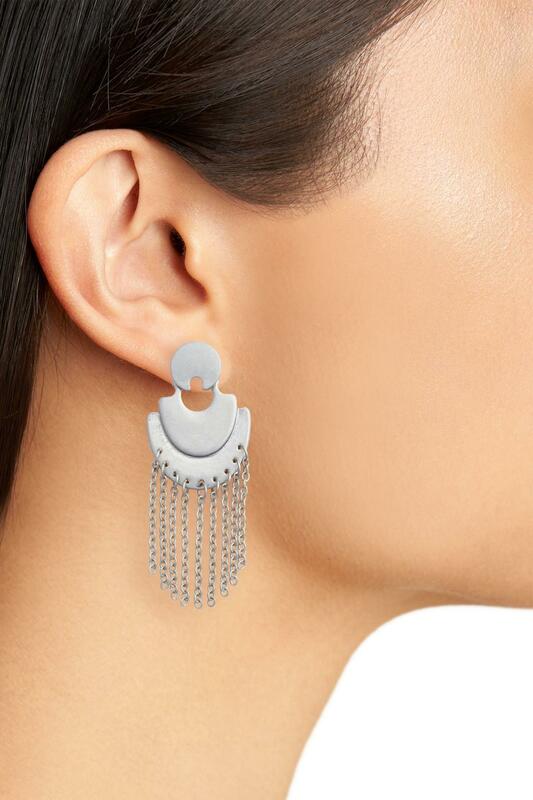 Plated metal alloy. Wipe with soft cloth; avoid solvents and moisture..